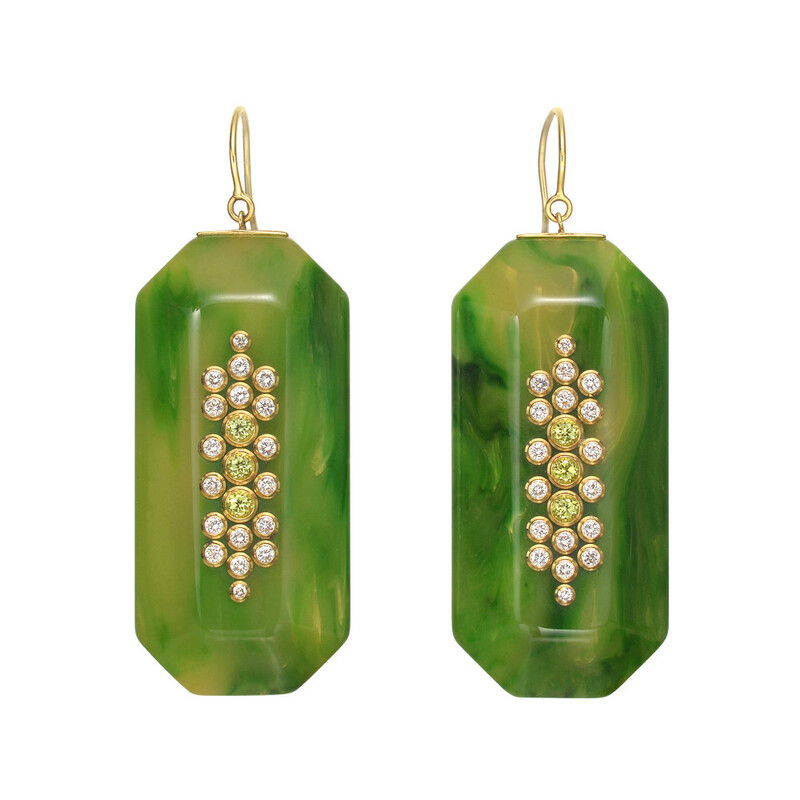 In the hands of Mark Davis, the combination of vintage bakelite, diamonds, gemstones and precious metals yields a singular assortment of collectible contemporary jewelry. 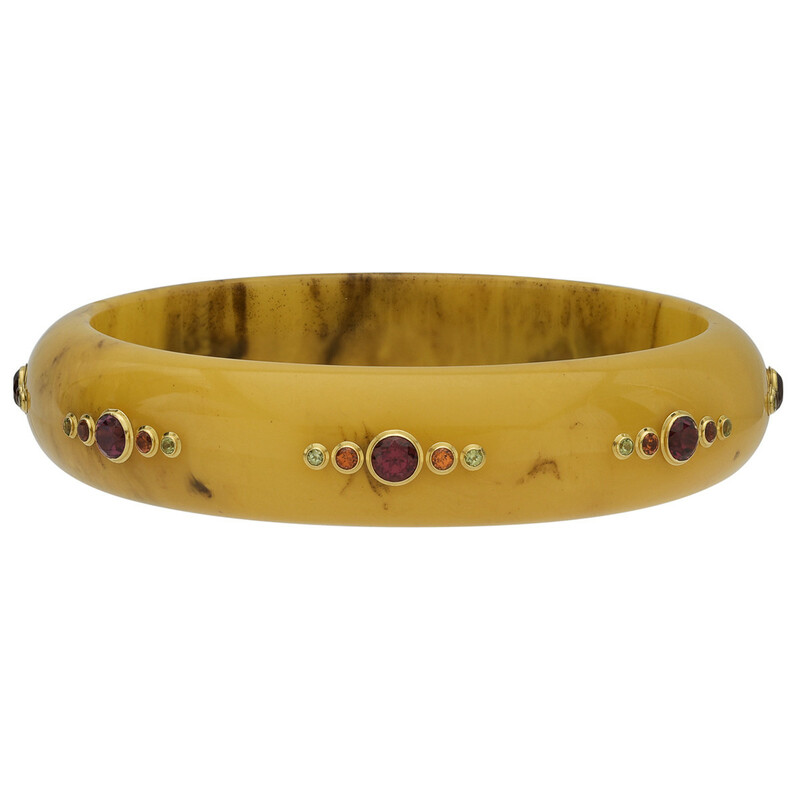 Every item is meticulously handmade in his New York City studio. 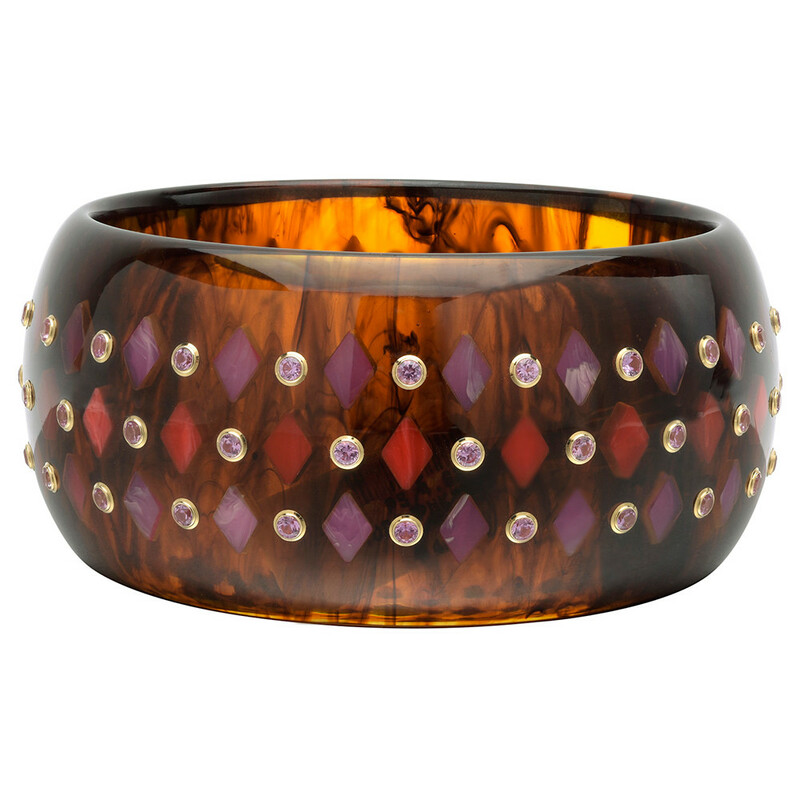 Nothing is mass-produced and most pieces are one-of-a-kind. 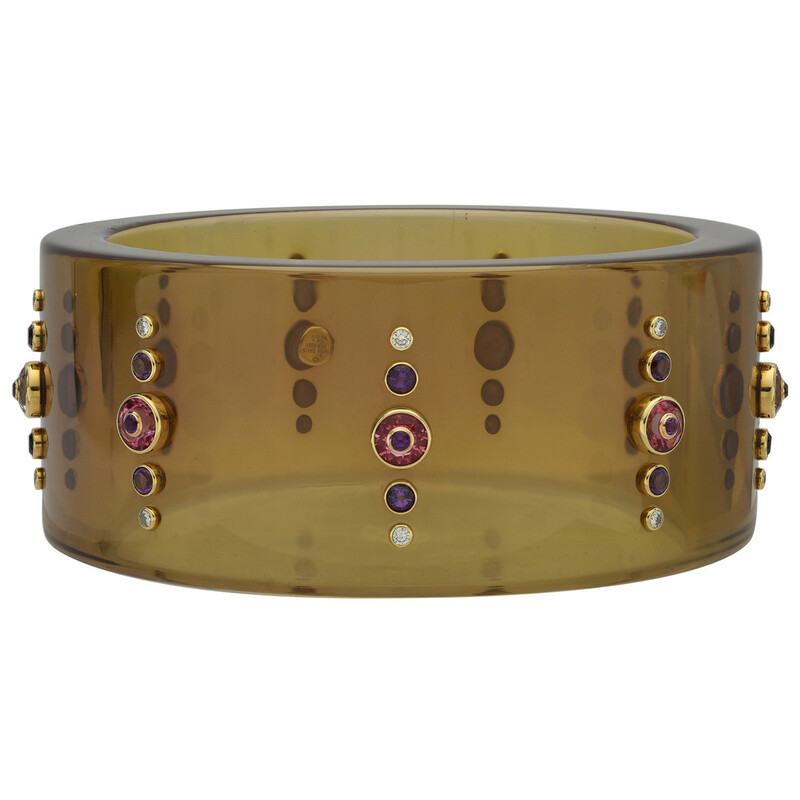 Introduced in late 2017, the floral bangles represent a new, technical achievement for Mark Davis. 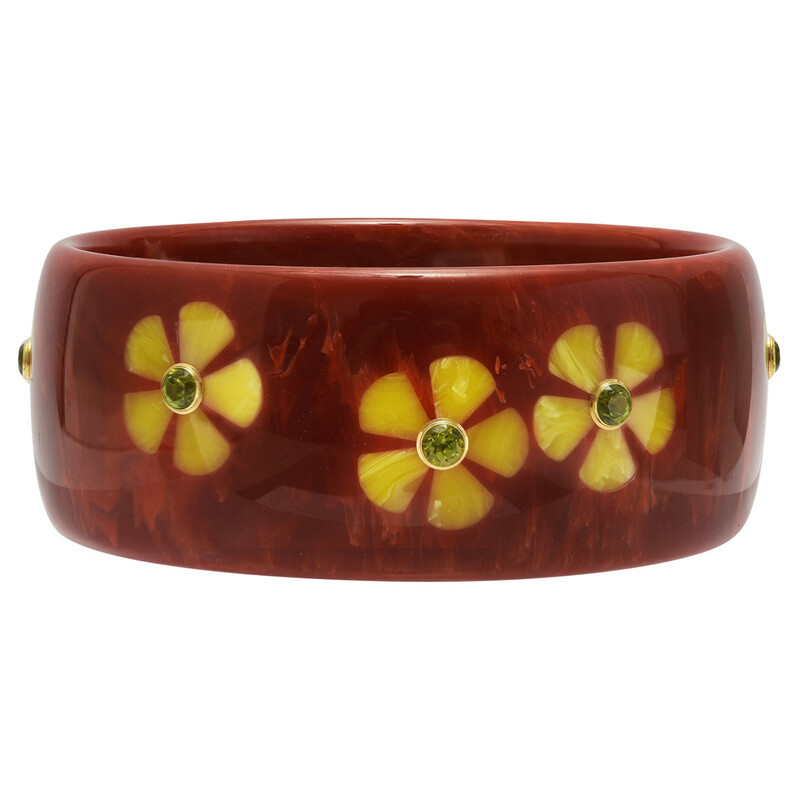 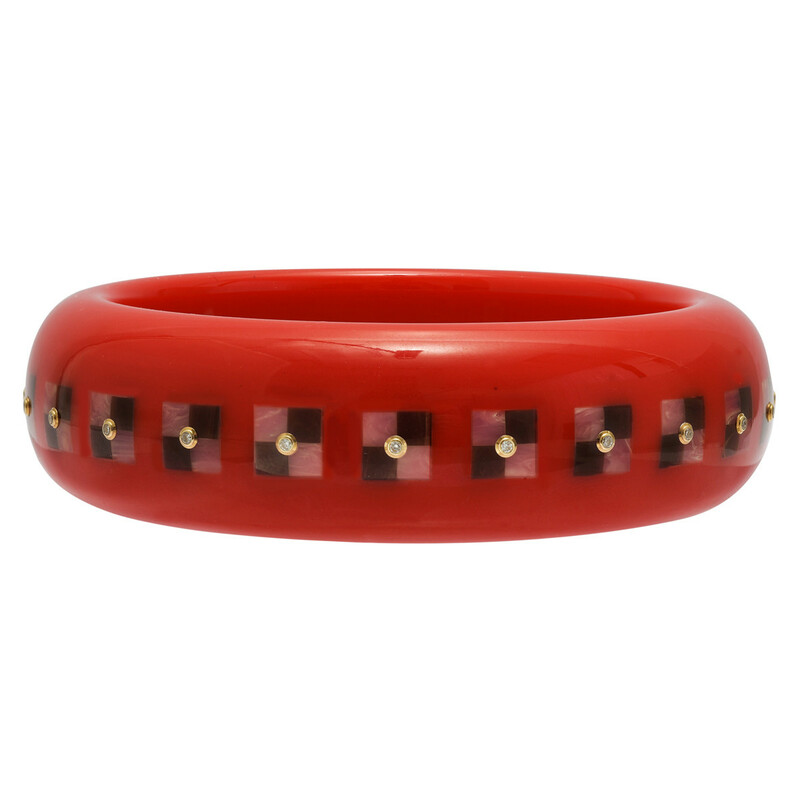 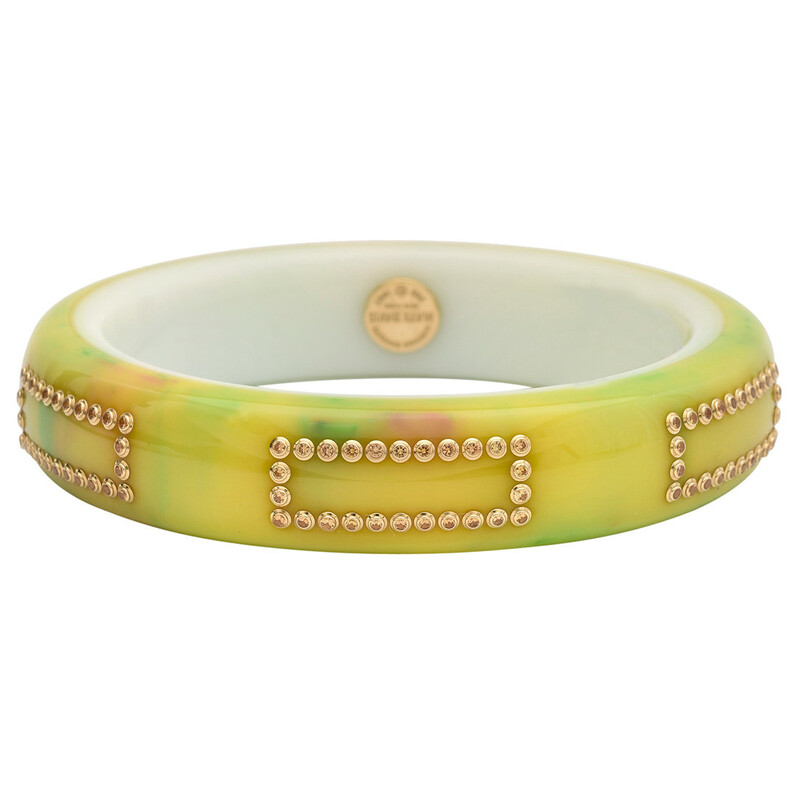 Precise pockets are cut all around the surface of a vintage bakelite bangle, forming a floral pattern. 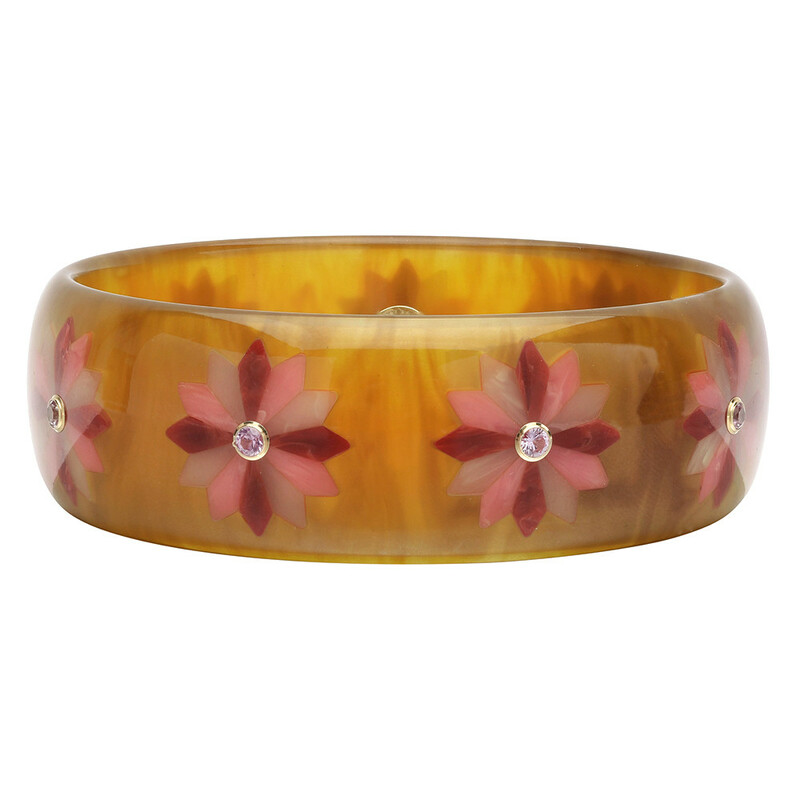 Next, each individual petal is cut from salvaged pieces of bakelite and set to form the stunning, wearable bouquet.